Updated Wednesday August 5, 2015 by Alpharetta Youth Softball Association (AYSA). To schedule private lessons please call Ed at 404-944-2300. 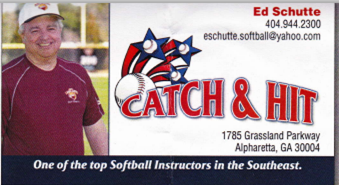 His email adderess is eschutte.softball@yahoo.com.